Established in 2002, Hotel Solutions is one of Ireland’s leading and most respected Destination Management Companies. We are a one stop shop for Event Management and Travel solutions in Ireland, for businesses large and small. We provide a creative and innovative approach to the management and delivery of your business events and travel on the island. We are always focused on thorough attention to detail for every client, giving you confidence that whatever your needs, we will deliver them on time, to plan and to budget. To organise an event you need lots of energy, enthusiasm and more importantly time. The time that most companies simply don’t have - so why not leave it to us. Our Event Management Service provides you with all the elements necessary to make your event a success. Hotel Solutions DMC specialise in handling your Group, Incentive or Conference business on the island of Ireland, so you can relax knowing that our experts are looking after your VIPs. We handle everything from the flights, transfers and booking accommodation to designing itineraries and dealing with suppliers. We are your 'one stop shop' destination management company, everything we do is delivered in line with our core values. Passion, Partnership, Professionalism, Proudly Irish, delivered with a Personal Touch. AV has become a huge aspect to many conferences and events. We source quality audio visual technical production for your conferences & events both in Ireland and abroad. We pride ourselves in our established reputation for customer service and attention to detail. Through our trade partners we can provide various team building activities for your social group or company. Our Team Building activities can be tailor made to achieve your goals. In the last 16 years, Hotel Solutions has established itself as one of the “leading venue finding and event management companies” in the Irish Market and developed a reputation for excellence. The key to our success and continued growth is down to our approach in clearly understanding our clients every need. 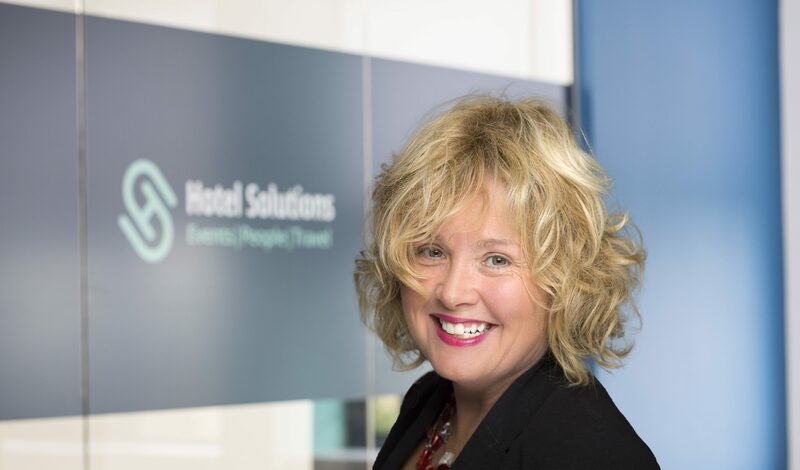 Michelle founded Hotel Solutions in 2002, with over 30 years’ experience in the Hospitality sector she is renowned for her high standards of customer service, positive attitude, personable demeanour, extensive contacts and industry knowledge. She leads a superb team of creative & innovative people who strive to deliver the best events experiences at all times. 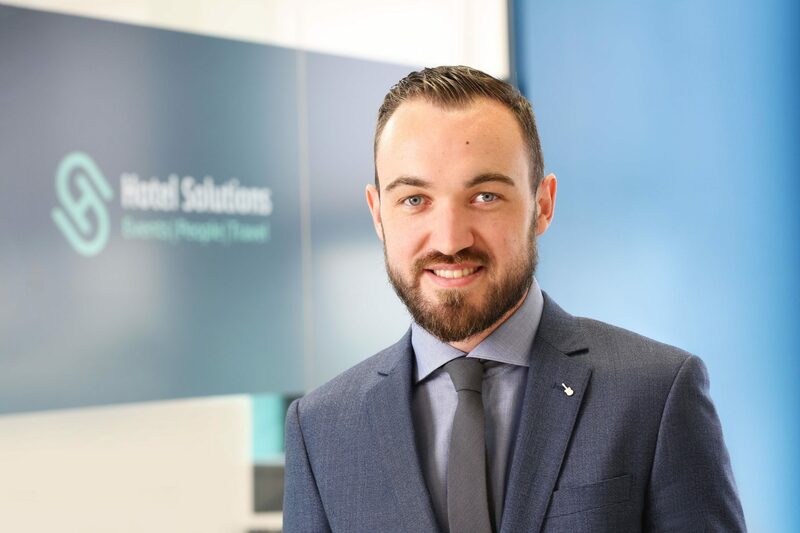 Stuart’s decision to join the family business was a natural progression as he has grown up within the hospitality sector. Working in the business for over 4 years, he has excelled at every project he has been given and has helped grow business significantly in this short period after completing a MSc in Strategy and Innovation from the National University of Ireland Maynooth. In 2015 Stuart became a member of SITE Young Leaders Ireland, Joined the committee and is actively involved in promoting SITE within the industry. 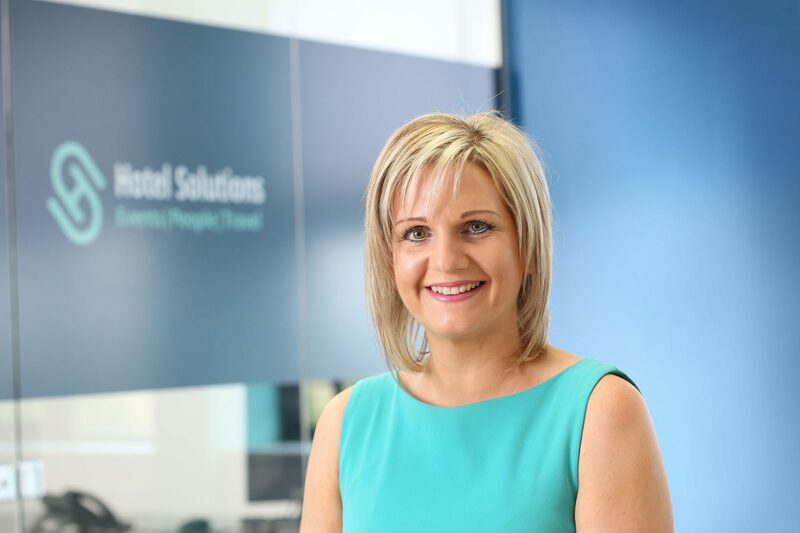 Róisín has worked with Hotel Solutions for over a decade and has over 20 years’ experience in the hospitality sector. She is passionate and committed to any project she is assigned. She has a wonderful personality and works well with clients. Roisin works on a daily basis on numerous conferences and events and is renowned as being one of the best in the industry. 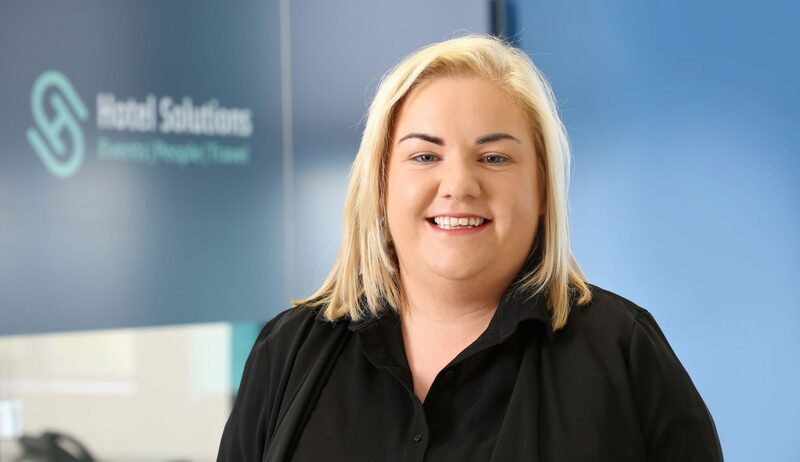 Karen is our newest team member, and brings a breath of fresh air and enthusiasm to the Hotel Solutions team. The ultimate team player, she goes to the end of the earth for her colleagues and clients. She has gained huge respect from both suppliers and clients and is renowned for her fun personality. 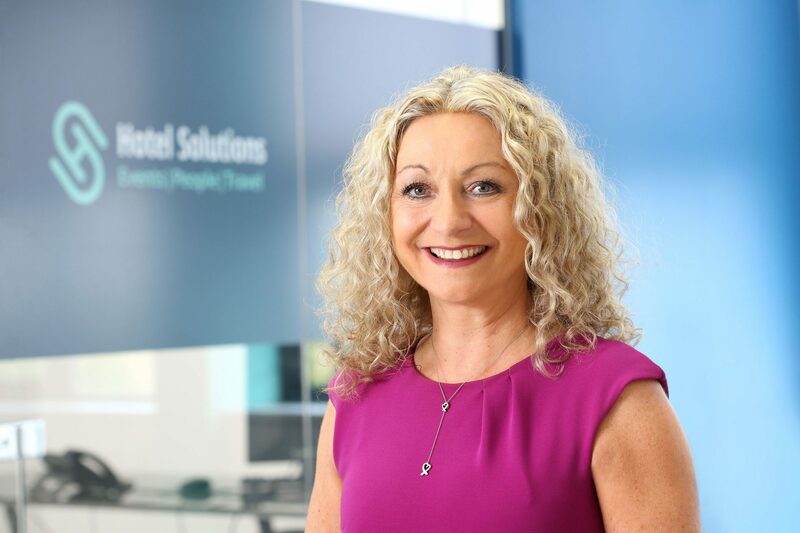 Gael has rejoined the Hotel Solutions team after 5 years in the Hotel Industry, and brings with her over 25 years experience in the Hospitality sector. She has wonderful client relationships and an excellent personality. She excels at any project that is given to her and with her vast operational knowledge can handle and incentive group both large and small. 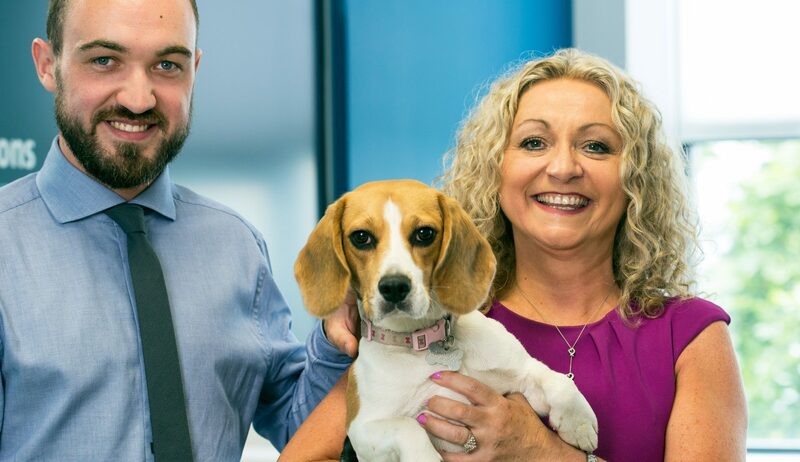 Bella is responsible for boosting morale and office security at Hotel Solutions. She is the coolest four-legged employee in town and shows up to work each day with a smile. Her responsibilities are to encourage participation among the staff by picking up the toys they throw and then letting them run after her to try to get them back. “During the week, I try to help each employee feel I appreciate and love them. I rotate the order of whose desk I snooze under. I also rotate who I get to take me out for a walk each day. I know who has great lunches and likes to give me treats, thereby making sure they don’t overeat”.